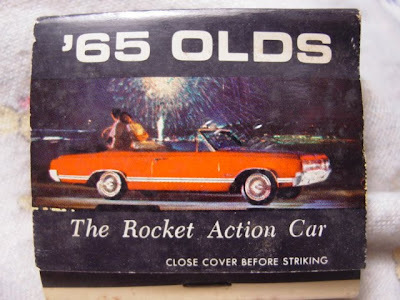 Not much to say here, other than, as bad as the condition of this matchbook is, the car still looks showroom new. Plus, I love the association to rockets. What is "Rocket Action" anyway? Does it burn up on re-entry to your garage? Were the matches sold with the car to *ahem* launch it? 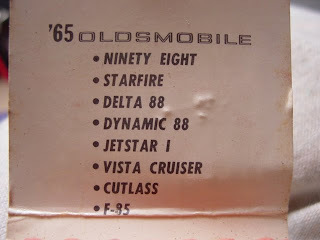 Maybe this was Oldsmobile's brief foray into external combustion engines. Small specialized dealers like Lovells are quickly becoming a distant memory. 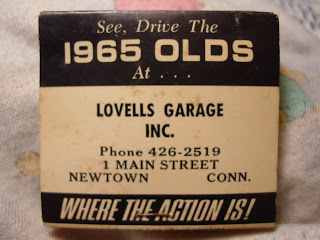 Too bad, I bet you got really great service at Lovells Garage... and so many Oldsmobile models to choose from! Perfect Exposure: Hoax or Coax?